The nearly 1,500 boys living in the shelter sleep five in rooms built for four. 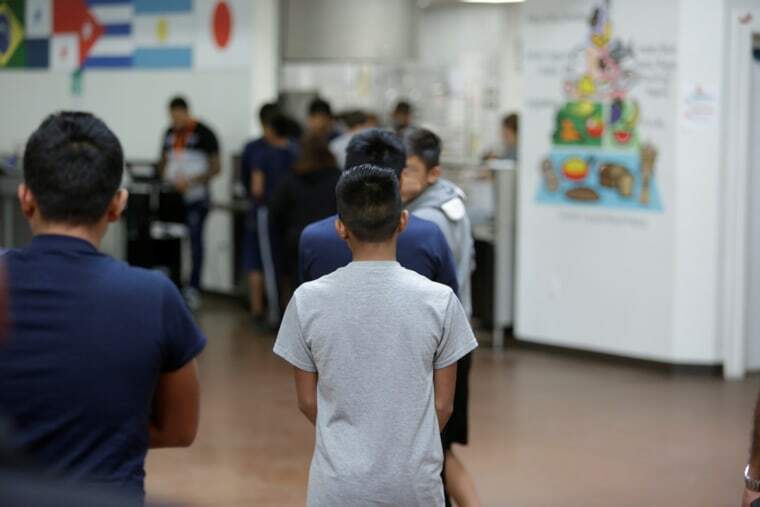 BROWNSVILLE, Texas — Life inside the biggest licensed child care facility in the nation for children brought into the U.S. illegally looks more like incarceration than temporary shelter. It currently houses nearly 1,500 boys ranging from 10 to 17 years old. NBC News was among the first news organizations granted access to the overcrowded Casa Padre facility. The average stay at the center in Brownsville is 52 days. After that, minors are placed with a sponsor. Shelter leaders said they were not notified in advance of the Department of Justice’s recently stated goal to prosecute 100 percent of immigrants crossing into the U.S. illegally. Children are automatically separated from parents referred for criminal prosecution. The policy has led to a surge in children filling the center above its legal capacity, and has sent officials in Washington scrambling to open temporary tent cities around the country. The Department of Health and Human Services currently houses about 11,200 immigrant children and is investigating locations including U.S. Air Force bases to house the overflow. There were no cages or fences — only dorm-style rooms that are supposed to sleep four. Because of the overcrowding, the shelter received a variance from the state of Texas to add an additional bed to each room. Journalists were asked not to speak with the boys in the shelter, but many indicated that they were in good spirits, despite the circumstances. Shelter officials said the boys are permitted to speak to people by phone outside the shelter, including incarcerated parents, if the penal institution housing the parents allows calls. Casa Padre is the same facility Sen. Jeff Merkley, D-Ore., was turned away from this month after arriving unannounced and seeking entry to inspect conditions. In the reception area, a note to staffers tells them to "Immediately notify PD," or program director, if media representatives approach. The shelter has operated in the converted Walmart since March 2017 and, until recently, has mostly served young migrants who arrive in the United States without an adult. A DHS official put the number of prosecutions for entering the United States — an offense that requires parents and children to be separated — at 60 percent of migrants who enter illegally, nearly double what it was earlier this year. The walls of Casa Padre are covered with American history-themed art and murals of various presidents appear throughout. A painting of President Donald Trump sits on the wall of a cafeteria area. The quote next to it reads: "Sometimes losing a battle you find a new way to win the war." CORRECTION (June 15, 9:30 p.m. ET): An earlier version of this article incorrectly referred to a note in the reception area. "Immediately notify PD" refers to program director, not police department. Julia Ainsley and Aarne Heikkila contributed.